Thanks to all those who entered our Christmas Competition last week. There can only be one winner, so if you were not lucky last week please keep trying. Today we are launching 4 Weeks of koolaman Christmas - Week 2. This is a super special giveaway. GOLD is on the gift list and it' your chance to win one! In the second week of koolaman Christmas my true love gave to me a Yellow Gold 9ct GRACE PENDANT with 45cm 9ct Gold Curb Chain. Wow my true love has really hit the jackpot with this gift, valued at $710. We would like to give one of these pieces from our GOLD COLLECTION away to one lucky entrant but you have to be quick. This competition will be short and sharp, opening today Thursday 29 November at 4pm and closing at midnight on Saturday 1 December. 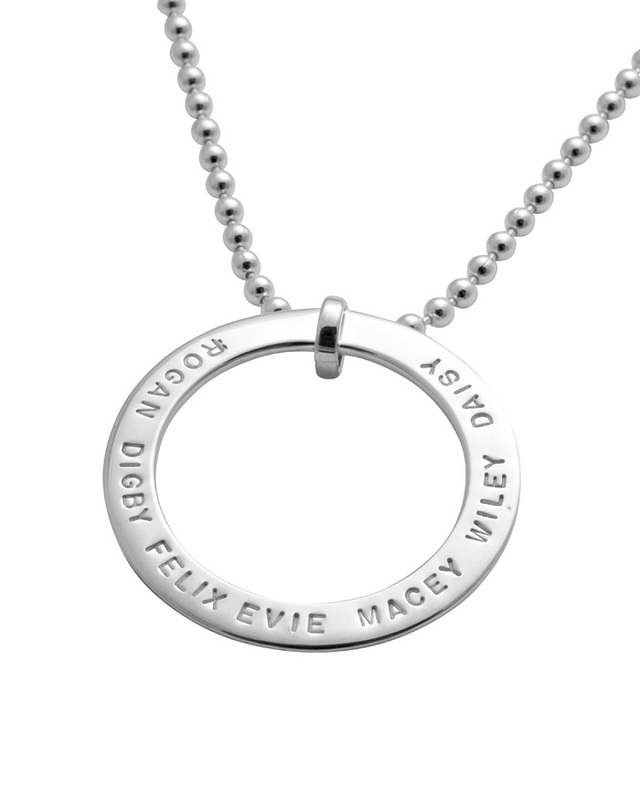 How beautiful is the GRACE PENDANT? . ﻿ ﻿We know Christmas is not always about presents, But admittedly when the person giving gets it right and picks a winning gift, it's just awesome. There are times when gift giving goes horribly wrong though and we've certainly had our fair share of bad Christmas presents! We want you to share your Christmas Present Experience and tell us, what was the worst Christmas Present you have ever received? Place your answer in the comments section of this Blog and then head over to our FACEBOOK page and post your comment on our page too. It’s that simple. So think quick and get typing,we would hate for you to miss this one off opportunity to win big. Don't forget Christmas delivery cut off dates for all GOLD and HIDE COLLECTION orders is midnight Saturday 1 December, 2012. 1. Instructions on how to enter and prizes form part of these Conditions of Entry. Participation in this promotion will be deemed acceptance of these terms and conditions of entry. 2. One entry per person per weekly competition. 3. To enter, simply comment on this blog post and tell us the worst Christmas Present you have ever received and then also post the same answer on our FACEBOOK Page. 4. Include your email address or a link to your website/blog where we can comment or find your email address. 5. This competition is open to entrants in NZ and AUS. 8. Prize is not redeemable for cash nor transferable. 9. 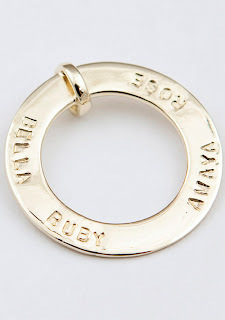 Competition opens 4:00pm Thursday 29 November 2012 and closes midnight Saturday December 1st 2012 AEST. 10. This competition is a game of skill and the winner will be based on the most interesting comment as judged by the koolaman designs team, chance plays no part in determining the winners and notified by email and via a post on koolaman designs blog on Tuesday December 4 2012. 11. Winners in this competition agree that their identity may be disclosed in winner announcements and promotional material.All entries become the property of the koolaman designs. 12. Entries not completed in accordance with the rules and conditions or received after the closing date will not be considered. Illegible or incomplete entries will be deemed invalid. The judge’s decision in relation to all aspects of this competition is final and binding on every person who enters. No correspondence will be entered into. 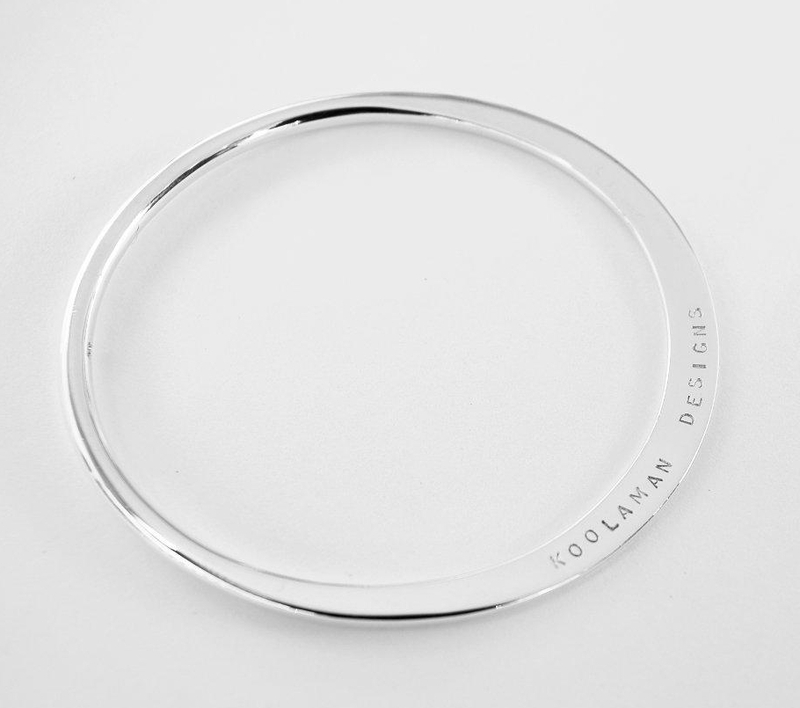 Congratulations Gemma Wescott Blair you are the winner of the 4 Weeks of koolaman designs Christmas Promotion. For your efforts you will take home the funky BANJO Leather Band with MAMA Pendant from the HIDE COLLECTION. We loved the little ditty you put together for the competition. If you missed the entry here it is. Yet my mum is constantly on call for help and cheer. Keeping me sane and the fridge stocked with ice cream by the tub. To show her my love and give her a lift. So she could hold them close to her heart, their love not to be hid. Congratulations and well done Gemma, we hope you enjoy wearing the BANJO Leather Band over the coming festive season. If you want to win like Gemma, then you need to be in it to win it! Our next Christmas Promotion will begin today, so stay tuned to our BLOG and FACEBOOK for further information. The koolaman designs Christmas Pop-Up-Shop has been on the road again and recently visited Charlottes Web in Hamilton, Victoria. We were in town to help celebrate the 13th birthday of Charlottes Web on Wednesday 15 November. The hospitality was impeccable and Gabby and Lesley, our lovely hosts, were extremely generous, kind and helpful. Thanks very much girls! It was a real thrill to share a little birthday bubbly and catch up with our loyal Hamilton customers. It was also great to meet some new faces and share the koolaman designs experience. All orders taken on the day have now been sent back to the hub and you will receive your special piece in the next few weeks. Our hosts did a wonderful job ensuring, the 13th birthday in conjunction with our pop-up-shop, was celebrated in style with beautiful nibbles and drinks. The food, pictured below, was an absolute treat. There is still time to place Christmas orders, but please head over to our online store for more information relating to Christmas delivery cut off dates. We would hate for you to miss out. For those wishing to order from the HIDE or GOLD COLLECTION in time for Christmas, you must do so by December 1, 2012. Our pop-up-shop Christmas tour continues in the coming weeks. Please head to our website to find us at a place near you soon. 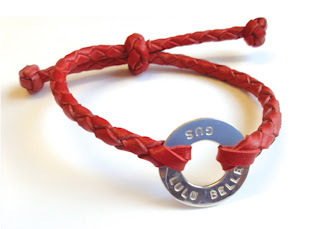 We still have our November Pop-Up-Shop promotion running and you could win your very own hand stamped LIESEL BANGLE if you enter. Julie Churchill entered and won our October Monthly Promotion after visiting us at the Culverden Country Christmas Fete in New Zealand. Congratulations Julie we hope you enjoy your very own piece of koolaman designs. Don't forget our fantastic Christmas Promotion happening at the moment. 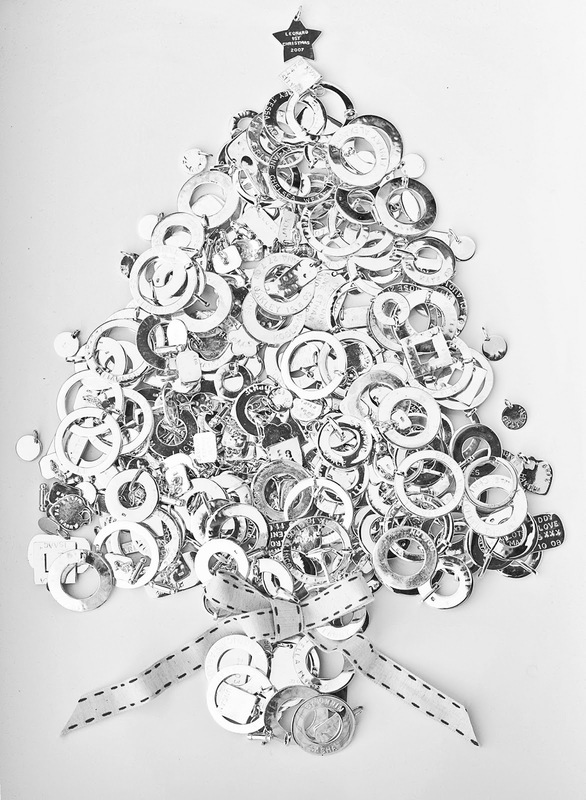 Head over to our 4 Weeks of koolaman Christmas Blog for more information. There are some beautiful pieces to be won. Thanks Hamilton it was a delight to visit! 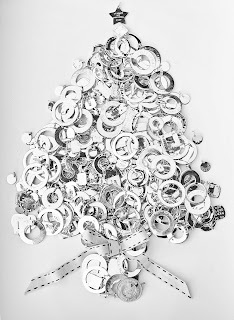 At koolaman designs we just love Christmas. The lead up to Christmas, although hectic, is very exciting for the team at the koolaman hub. We can’t help but get excited seeing Christmas decorations popping up. We love the chatter and discussion about Christmas parties and hearing how others celebrate this special occasion. We look forward to seeing the joy on the faces of our children once the Christmas tree is up and reading over those beautiful notes written to Santa prior to sending them to the North Pole. There is always a buzz in the air in the last few weeks of December too. The Christmas cheer takes over as people start to wind down at the end of the year in order to celebrate Christmas day and the coming holiday season. To kick start the festive season, we have decided to provide all our Facebook, Twitter and Blog followers with the opportunity to win one piece from the koolaman designs collection, every week for the next four weeks. Each week on our Blog we will ask you a question relating to Christmas. All you need to do is answer the question in the comments section of the Blog and post your comment on Facebook to be eligible to win. We think this a fantastic way to get you into the Christmas spirit. We would love you to join us as we count down the weeks until Christmas. Now is the time to place your koolaman designs Christmas order. This way we can ensure your purchase arrives in time to give it to that special person for a Christmas gift or if for yourself, it will arrive in time to make you feel special over the festive period. Check our online store for details relating to all Christmas delivery cut off dates. 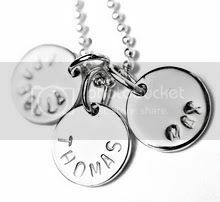 So go on, get ordering and put that extra saving toward beautiful pieces like these, which are from our Silver Pendant collection. ﻿﻿﻿﻿In the first week of koolaman Christmas my true love gave to me a BANJO with MAMA PENDANT. We would like to give this piece from our new HIDE COLLECTION away to one lucky entrant. 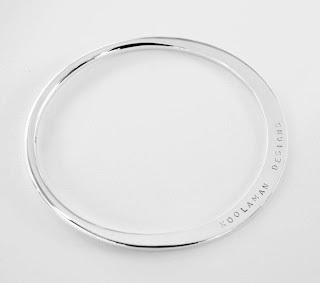 All you need to do is tell us which koolaman designs piece would make all your Christmases come at once and why? Place your answer in the comments section of this Blog and then head over to our Facebook page and share your answer with all our Facebook Friends too. It’s that simple. Could the BANJO with MAMA PENDANT make all your Chistmases come at once? The most interesting and creative entry will be judged the winner as determined by staff at the koolaman designs hub. Don’t forget to check our online store to see where our pop-up-shops will be located in November and December. We may be headed to a destination near you soon. Wow, the SILVER SEEDS display at the BOWERBIRD BAZAAR Pop-Up-Shop in Adelaide looked exquisite﻿﻿! Stay tuned to the coming Blogs to be part of our 4 weeks of koolaman Christmas promotion. 3. To enter, you must like our facebook page and simply comment on this blog post by sharing with us which koolaman designs piece would make all your Christmases come at once. 9. 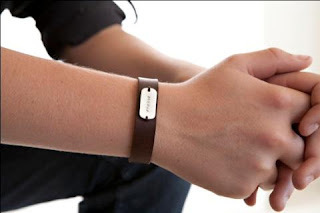 Competition opens 1:00pm Wednesday 21st November 2012 and closes midnight Wednesday 28th November 2012 AEST. 10. This competition is a game of skill and the winner will be based on the most interesting comment as judged by the koolaman designs team, chance plays no part in determining the winners and notified by email and via a post on koolaman designs blog on Thursday November 29 2012. 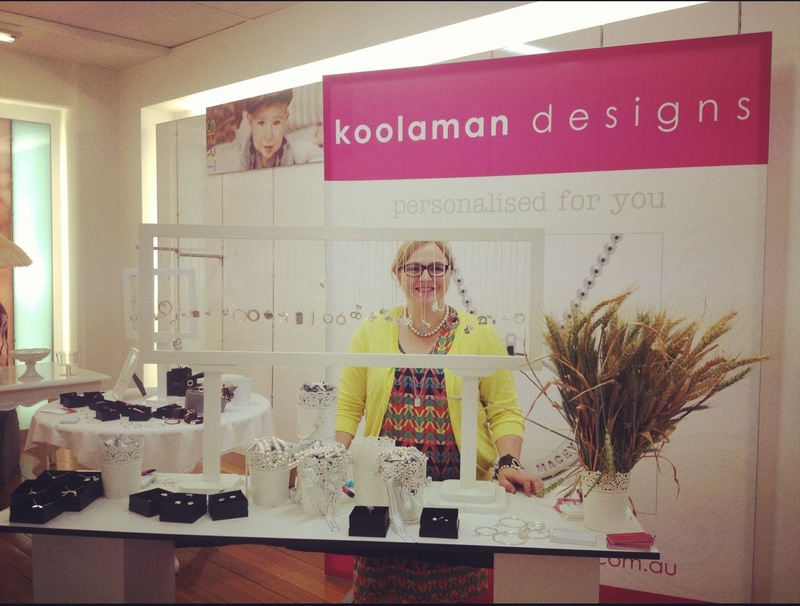 Last time koolaman designs exhibited at Bowerbird Bazaar exciting times were ahead as I was attending for the first time and made a weekend of it with my friend Joh and her son Ignatius. When I returned home, I enthusiastically took to the computer to put down some words for our Blog. As is often the case, my schedule of children, work and leisure quickly gobbled up my time and I neglected to post my thoughts. I could not let my efforts go to waste. So I am posting my blog from July for your enjoyment and to providing a taste of what will be install this weekend. The vibe just hits you as you walk through the doors. 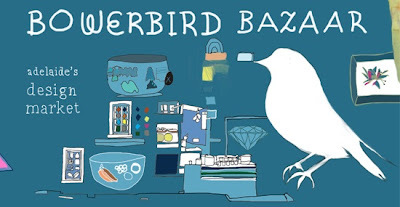 Funky, edgy and cool are just a few ways to describe the Bowerbird Bazaar. koolaman designs had the privilege to exhibit at this event in Adelaide over the weekend 20-22 of July. We had never been to the Bazaar before so what a treat to be part of it in 2012. Actually the whole weekend could really be described as one of great adventure. My mode button -had switched. The run around mum doing the usual school picks ups, kids’ sports and work was placed on pause. I was heading off with a great friend Joh and her 15 month old, Ignatius or Iggy to most, on a road trip to Adelaide. If only car doors could talk! I’m sure most of you could relate and imagine the topics for discussion. There were no husbands in sight and the stretch of road ahead from Koolaman Station to Adelaide, let’s just say, is very mundane. We certainly talked away the next 5 hours with ease. Could we possibly have more to discuss? Absolutely and that’s without the events of the coming weekend which were full of promise. Friday and a mad rush was on to set up before the Bazaar began at 2pm. The event was held at the Adelaide Showgrounds and on arrival I could sense there was a positive buzz in the pavilion. We were nestled in alongside a fellow market regular, Simon from Hamb Clothing and some very creative foodies. To top it all off I was only a quick step down the pavilion from great food and coffee. Something else close to the heart of koolaman designs; good quality market food! ﻿I was pleasantly surprised whilst setting up how simple products, such as cardboard, can be used so effectively. Some creative genius had come up with the idea of having cardboard seating, tables and even couches, dotted around the venue for weary shoppers to rest and rejuvenate before heading for the next purchase. All systems go and the crowds were flowing through. Joh, new to the market scene, came along to give me a hand on Friday night. Instantly we were both drooling at the waft of the food coming from Red Bakery. What an absolute delight to attend an event where the market food is five star and even gourmet. There certainly are some extremely talented creative and inspiring people at an event like this. It makes me extremely proud to know the creative juices are alive and well in Australia. 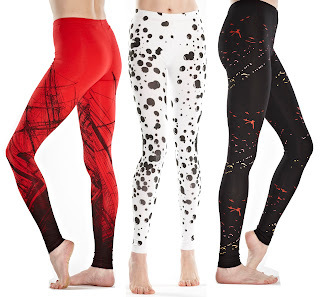 I was lucky enough to fit in a spot of shopping too and came across this awesome Aussie Designer, named Katy from Captain Robbo, who designs and produces funky adventure pants. Joh and I fell in love with her designs and purchased some to to take home. Check out the images below. We are excited to see Katy again at Bowerbird this weekend. 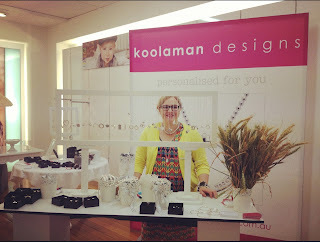 koolaman designs was kept busy with a steady stream of people stopping to eye off our jewels. It was great to meet some of our loyal customers in the flesh and see the look of delight on faces of those new to the koolaman designs experience. No matter how many times I see our ads in magazines and people wearing our pendants, I’m always very humbled. When people who have purchased our products come and share their story, I feel very honoured. It gives me such a buzz to meet people who love our products as much as we do. The Bazaar provided a great opportunity to display our new hide collection. It is certainly a talking point. If you have not already viewed the collection, it is well worth taking a look online at the range available. My little adventure is done. Arriving home around midnight and the switch is flicked; I’m back in Mum mode. Tick; another successful weekend completed in the Life of koolaman designs and I would have to say Bowerbird Bazaar has created plenty of food for thought, so watch this space! 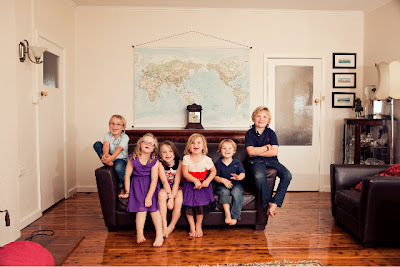 koolaman designs will be attending the Adelaide Bowerbird Bazaar on November 9,10 & 11 2012. We are looking forward to returning to this event and saying hello to our loyal customers and meeting new faces. Christmas cheer is in the air and with only 7 weeks to go until December 25, we are busy in the hub preparing for the festive season. If you are in Adelaide and looking for some inspiration for a Christmas gift please come along to the Bowerbird Bazaar and swing by our pop-up-shop. The team at koolaman designs is bringing a wide range of pieces from our collection to display, including BILLIE, our newest addition to the HIDE COLLECTION. The red vintage leather band makes this piece very chic and is sure to delight our Adelaide customers. This event will provide an opportunity to view our jewels and cross off some of those presents from your Christmas shopping gift list. Our team will be on hand to answer any queries you may have in terms of Christmas delivery. 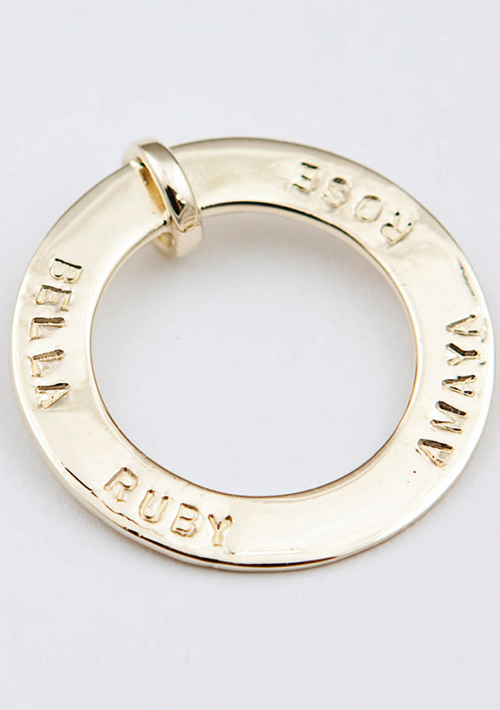 Don’t forget, if you do call by, enter our November Pop-Up-Shop Promotion and go into the draw to win your very own hand stamped sterling silver LIESEL BANGLE. Our “7 Weeks of koolaman Christmas” begins soon. Be sure to read the coming blog posts as there will be details and information relating to our Christmas Promotion. There are some beautiful koolaman pieces to be won.